When it comes to dental implants, people feel reluctant about them, as they have heard that sometimes implants are rejected or they fail. 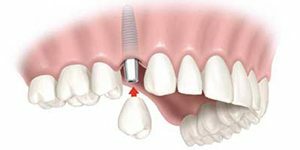 There three main parameters that make an implant successful and today, our dental implants Lauderdale by the Sea FL specialists are here to tell you everything you need to know about them. Our doctors have nearly 60 years of clinical expertise and thousands of success cases in their portfolios. All our doctors follow continuous education and training to refine their skills, learn new techniques, use new materials, and provide their patients with the best post-intervention care. Dental implants are, to put it in short, devices that play the role of a tooth’s root and tooth’s crown. Medical technology has advanced greatly in the last years from this point of view. We are certified and licensed in using the latest titanium implants and trademarked abutments and crowns surfaces and blends to offer you a long-lasting, durable, strong, and efficient implant. Your new tooth will function, look, and feel just like one of your natural teeth and you will soon forget it is an implant and not your normal tooth. Follow your doctor’s recommendations of dental care during the implant procedure and the years to come. Visit your doctor at least twice a year for your regular dental check-up and tell him everything that bothers you related to your implant – if the case. Immediately visit your doctor in case you feel your implant uncomfortable (no matter if after the procedure or years after the procedure). If you want to learn more about our dental implants Lauderdale by the Sea FL services, feel free to pay us a visit any time!